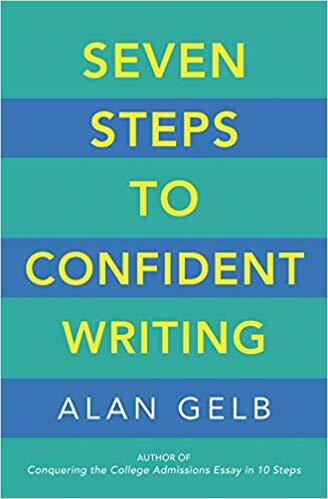 New in 2019 is Seven Steps to Confident Writing, my general guide to writing that has just been published by New World Library. I salute these hard-working and talented young women and men! It was an honor to work with them. 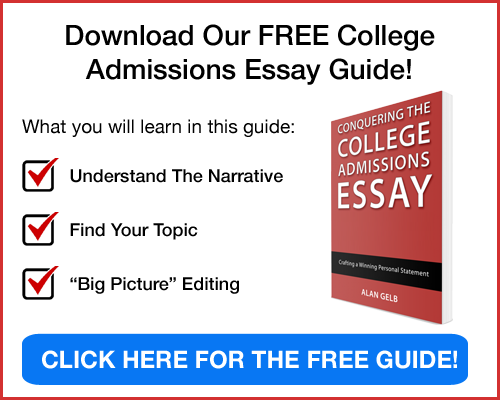 Twenty-two years ago, when my older son was getting ready to apply to college, I realized that there was no one in his high school who had the expertise to guide him through a particularly difficult part of the process: writing the college admissions essay. We lived in a small, rural community and, as well-meaning as the English faculty and the advising staff were at the high school, very few students were looking to go on to the most selective colleges. 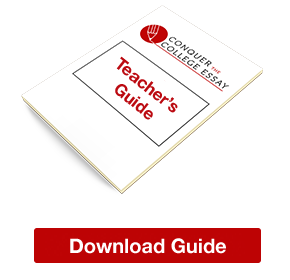 As a writer, I quickly realized that the best approach to the Common App essay, which was essentially a life review exercise, was to craft a strong narrative, as the narrative form is designed to capture the attention of a reader or listener. I guided my son in that direction, he got into the school of his choice, and soon I was helping other students in the community, and then the children of friends, and then I compiled my theories and turned them into a book, Conquering the College Admissions Essay in Ten Steps, published in 2008. Over the last ten years, I have worked professionally with many hundreds of students, guiding them through the difficult assignment of writing about themselves, just as I guided my son. 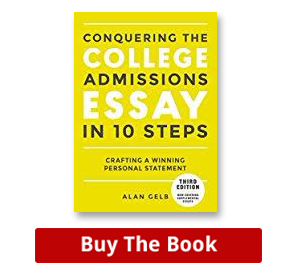 The newly-exposed machinations of the college counselors, coaches, and “Desperate Parents” that figure in the college admissions scandal has surely made anyone who works in this area, as I do, reflect on the ethical pitfalls of what we do. As a society, we would like to think that we live in a meritocracy, but we know that we do not. There is nothing meritocratic about inheriting wealth—and the Brookings Institute reports that an estimated 35 to 45 percent of wealth is inherited rather than self-made. Regarding legacy, those students who are designated as such made up around 14 percent of the undergraduate population at Harvard in 2018. Nothing meritocratic about that either. The current college admissions scandal is shocking. To see privileged people seeking to accumulate more and more privilege is a sobering spectacle indeed. Of course, we see such behavior in all quarters of our lives. I recall my late mother, then 90 years old, reporting to me with great excitement that she had been to a dentist with “a beautiful waterfall” in his waiting room who had presented her with a comprehensive plan for a whole new set of crowns. In my mind, it is a fairly short step from a dentist who pushes expensive treatments on a nonagenarian to a coach who accepts bribes. When I begin working with students, I start by laying out the ground rules. I don’t write for students, I explain. The writing must be theirs, I tell them. I am old; they are young. The point is to capture their authentic voice so that they can feel a sense of ownership around their work. I edit their writing, as an editor edits my writing, and we engage in a rewarding collaborative relationship, focused on bringing their work to a place of true excellence. I am gratified to see that students, when they understand the degree of attention that a piece of writing demands, will often stay at it, molding the piece and refining it without my prodding them to do so. Our time together becomes deeply intimate, and students might tell me things they have never told anyone else. In the few weeks during which we connect, remotely, I hear about their desires, their fears, their disappointments, their triumphs over adversity, their pursuit of the American dream—and I help them gave shape to all that. I charge a significant amount of money for what I do, based on the expertise I offer and on the time spent, but I don’t look to charge more than that formula warrants. Essentially, I deal with the ethical pitfalls that pock this field by wanting less. And when students and their families talk to me with such longing about Ivy League schools, I counsel them to want less—or at least to want different. Having spent another phase of my career writing recruitment and development materials for many different colleges and universities, I tell my clients that there are many great schools out there where they can find what they are looking for. Consider Tim Cook. He got his bachelor’s degree at Auburn University, and he seems to be doing just fine. I also try to level the playing field by keeping a significant percentage of the slots I have—something around ten percent—for pro bono clients. Usually, these are students who possess the considerable moxie to cold-call me. I have found that to be a better way for me to achieve that pro bono threshold than reaching out directly to school systems, where my offer generally gets snagged in bureaucratic netting. I wonder if blue-chip educational consulting firms that go by names like IvyWise, Ivy Dean, and Ivy Coach follow that practice; I would hope they do. One can see that this new college admissions scandal could serve as the “perfect crime” for the era we are living in—an era marked by unfettered wealth, rampant corruption, and deep cynicism. It is important to put this scandal in context, however, as just one more expression of the ethical corners that society cuts. As a practitioner in this ethically ambiguous arena, I keep these issues in my mind at all times, striving to conduct myself honorably and do no disservice to those who choose to work with me. Northwestern or Johns Hopkins? Dartmouth or Cornell? University of Michigan or University of North Carolina at Chapel Hill? This is the time of year when some of my students, like so many others around the country, are trying to figure out which college to go to. They have multiple good choices and now they are looking at all the variables, from curriculum to quality of life to location to diversity to climate. It’s a hard process, but it’s nice to have choices. College is fearsomely expensive. Don’t let all that beautiful ivy pull the wool over your eyes. While we are all hard-wired to lust after a picturesque college experience, you must remember to be an informed consumer and consider your best deal. Go to your accepted college visit and really talk to people. That includes students, teachers, admissions staff, and anyone else you choose to. Now is time for intangibles and you can only start to hear those when you get into conversations with people. 3. Remember that nothing is irrevocable. Although this is a momentous decision and you’re likely to make the right one, if you don’t you can always change things up. That’s what transferring is all about and many students manage to transfer successfully and happily. Sure, it’s not your first choice–but it is an option. Way to Go, Class of 2021! Word has it that this was the hardest year ever for students applying to the top colleges. Cornell University reported both record applications and acceptance rates. The university got more than 47,000 apps and opened their doors to a new low of 12.5%. The University of Pennsylvania also smashed records this season. There were more than 40,000 applications, including both early and regular apps, and they admitted only 9.15%. The acceptance rate is the lowest in UPenn’s history. Brown received their highest number of applications with 32,724 and accepted a record low of 8.3%. Congratulations to you all. You were hard workers and met the challenge. I’m glad these Conquer essays worked for you. Reason to celebrate, yes? And maybe the highlight of my year was having one of my Yale admittees send me a screenshot of his acceptance letter, on which the admissions counselor had handwritten a note, singling out his essay as one of her favorites of the year. Congratulations to all of my students on a job well-done. That last bit feels particularly germane to the college admissions essay. Many students feel that they have to find, “THE story.” I tell them that there are many stories that can be told, but mostly this assignment is about finding your authentic voice and making your readers feel that you are someone that they want to know (and that, hopefully, they want to invite into their college community). Authenticity means sincerity, self-reflection, humor, modesty…all those good things. Leave the boasting and home and tell your story, as Mr. Zinsser suggested, as if you actually enjoyed writing the piece. And guess what? Many of my student writers wind up enjoying this assignment a great deal. Why? Because they have engaged in some deep exploration about themselves, which can be exciting, and because they have come away from the experience learning some very valuable lessons, which is also very exciting. Everyone is happy, although I do have two students who are on the waitlist at two top schools. I’ve just been helping them with their Letters of Continued Interest (LOCI, if you don’t know about that). Anyway, they were a great group and I am happy and proud to share in their excitement.